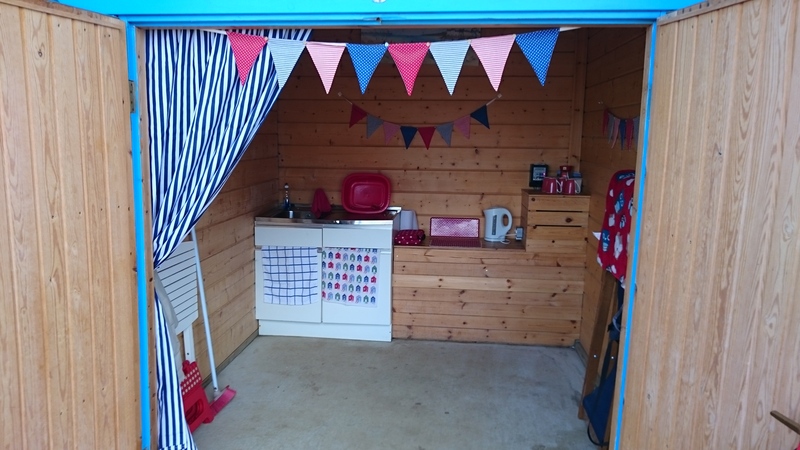 For the past few years York SCBU Support Group have hired a beach hut available to use by families with a baby on York SCBU at present or have previously been on the Unit. If you would like a couple of hours away or a day out then please ring 01759 371701 to book your date and arrange collection/return of the key. The traditional beach chalets are located on the North Bay promenade in Scarborough North Bay. If you walk round past THE SANDS complex towards the beach you will see the chalets. Each chalet comes with 4 chairs, small table, kettle and a sink and has an area at the front where you can sit. Our chalet is just after the shower/toilet block and is easily accessible for pushchairs. It can be used from 7am to 10.30pm. There are shops and cafes situated underneath The Sands apartments. PARKING – There is parking all away along the sea front as well as Burniston Road Car Park adjacent to Peasholm Park (charges apply). DOGS – Whilst dogs are permitted in the chalets, owners are requested to exercise control over their pets and keep them on a lead so as not to cause annoyance to others. It should be noted that dogs are not allowed on the beach from 1st May to 30th September (inclusive).